"This is to be neither a broad church nor a narrow church, neither a high church nor a low church, but a church of All Souls." The first service was held on Sunday morning, March 5, 1911, at 11:00 a.m. in the home of Mrs. Caroline Arledge on Garfield Street with 15 men and women present. 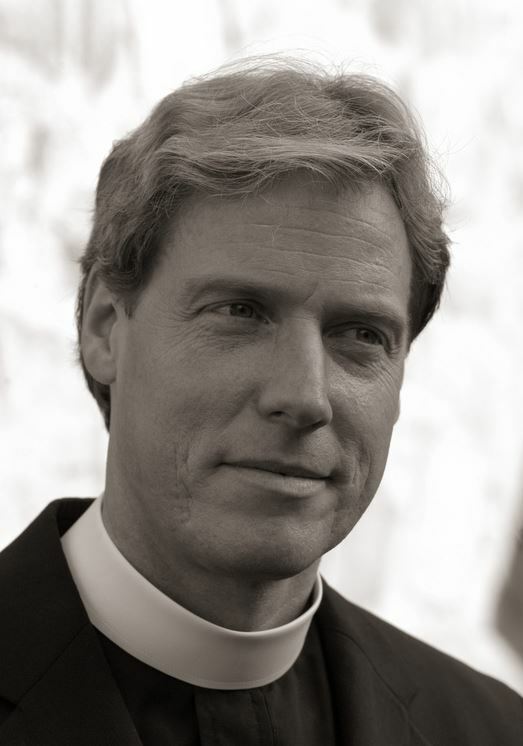 During the course of the following summer, the lot of our present site was purchased and a portable chapel was ordered. On Sunday morning, October 15, its door was flung wide open as a sign and symbol that, though small in body, its spirit was big enough to embrace one and all. These inclusive words were remarkable in their time and as the legacy of All Souls they continue to define our parish life even today. 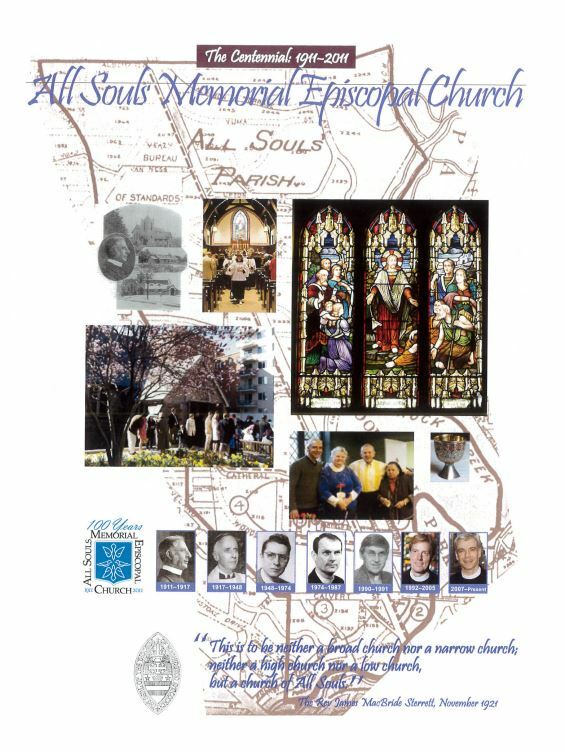 All Souls began to take form in 1911 when the only developed area around the present site consisted of one block of Garfield Street, two blocks of Twenty-seventh Street and one side of Cathedral Avenue just east and west of Connecticut Avenue. 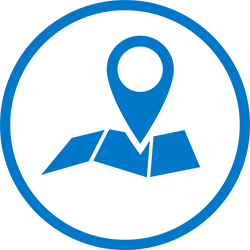 This location constituted a definite, snug and compact community, and provided Dr. James MacBride Sterrett with a vision of fostering a neighborly spirit and serving this area as a pastor and friend. Geographically, the district belonged to St. Alban's Parish, but consent was given for All Souls to be an independent mission. 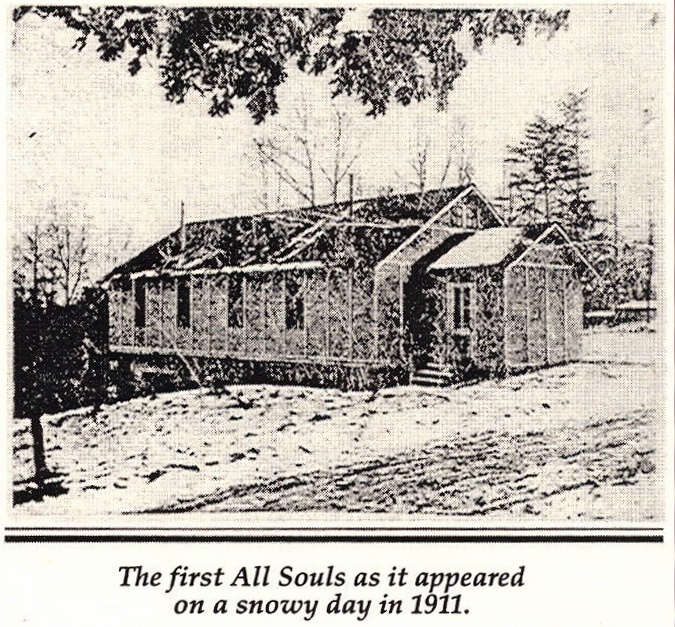 In May of 1913 The Diocesan Convention created a new parish to be carved out of St. Alban's assigned territory to be called, "All Souls Parish." What was then known as "The Little Memorial Church" was built, having a seating capacity of 230. 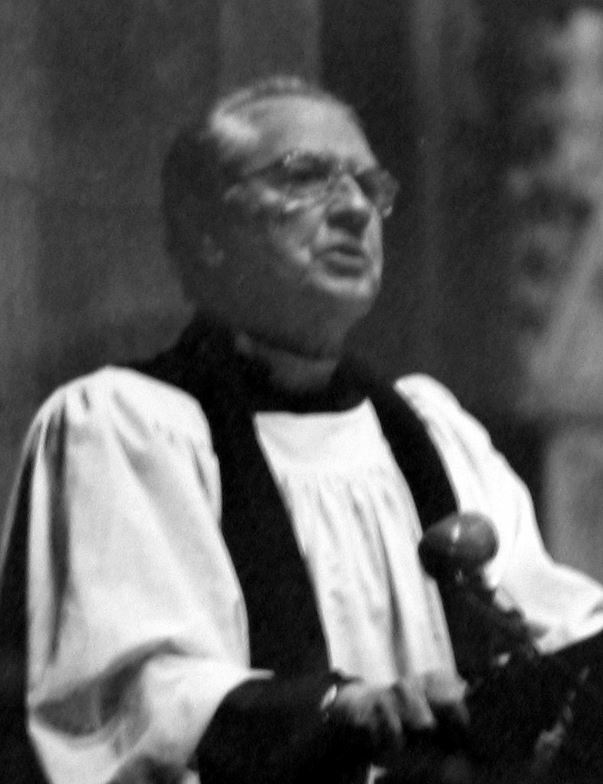 In October of the same year, the church was consecrated and named, "All Souls Memorial Church." 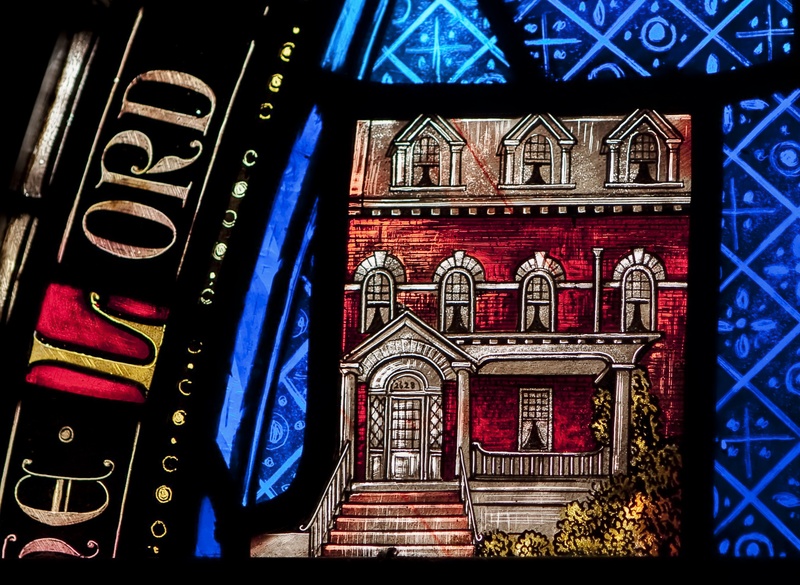 Built as a memorial to the founder's son, James MacBride Sterrett, Jr., who had died at the age of 17, the little church soon became a shrine for many memorials - stained glass windows, chancel furnishings, belfry chimes and an organ. As the neighborhood grew so did the parish, and in 1923 work began on the present church, which was an enlargement of the 1914 building. The original little church constitutes the crossing of our present building. 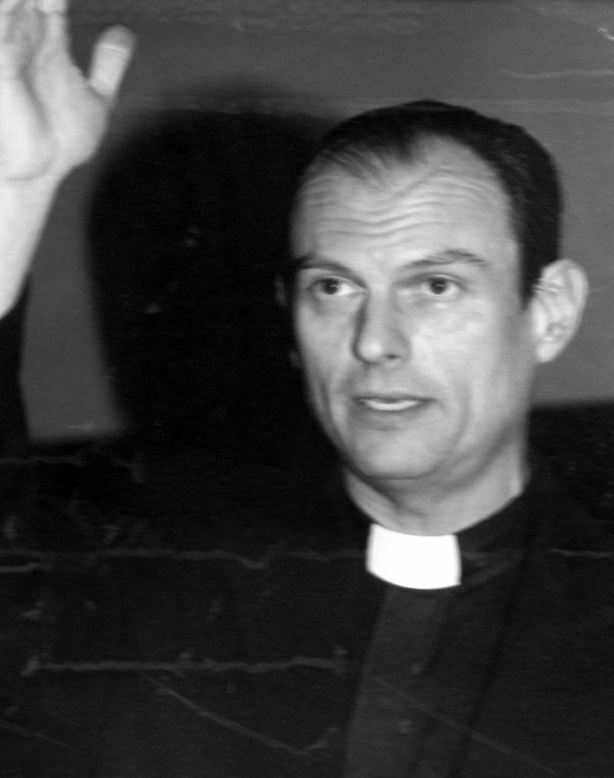 By the spring of 1945, the mortgage indebtedness on the church was paid in full. In 2015, an Accessibility Addition with an elevator and ADA restrooms was added to make the church truly accessible to all souls. Click the image to read a detailed history of All Souls prepared for our centennial. 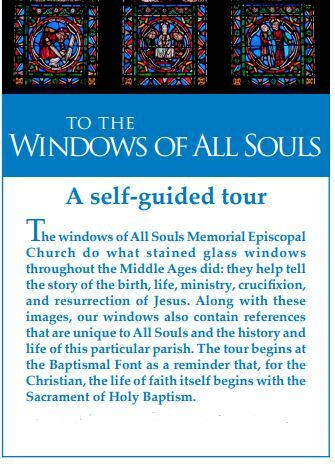 All Souls has long been known for its stained glass. 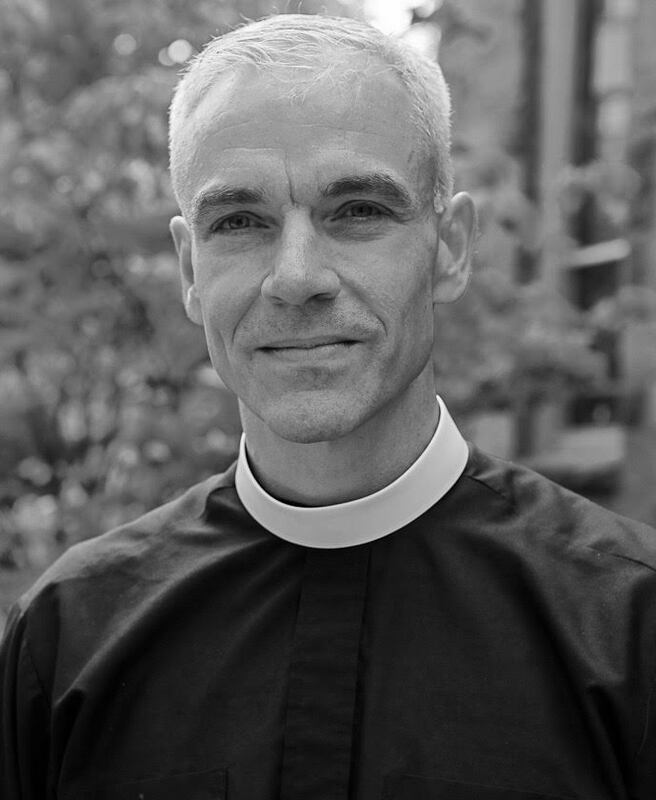 In the Diocese of Washington, the church is sometimes called the "jewel box." Our windows are a museum of the finest in 20th century American stained glass, with makers including Willet, Heaton, Tiffany, Rudy, and others represented. While we hope you enjoy looking at them online, we invite you to come see them in person. 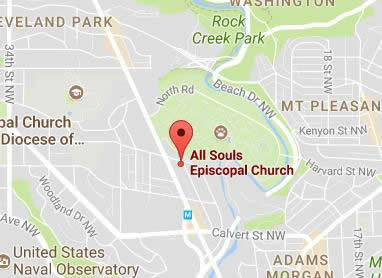 All Souls was founded on March 5, 1911, as a mission church of St. Alban's, Washington, D.C., with the first meeting in a house at 2628 Garfield Street NW. 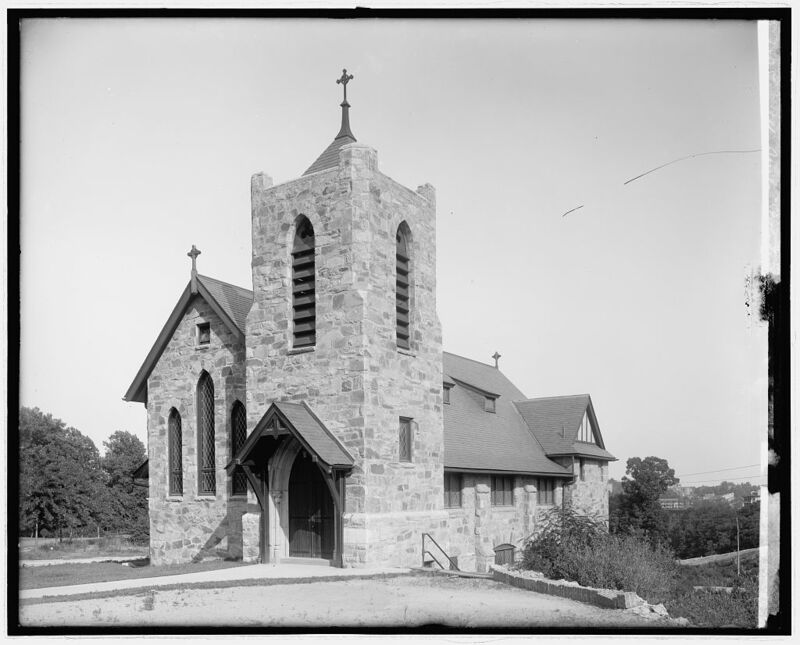 That fall, the church purchased the lot where it now stands and erected a portable chapel with the first service at the site on October 15, 1911. 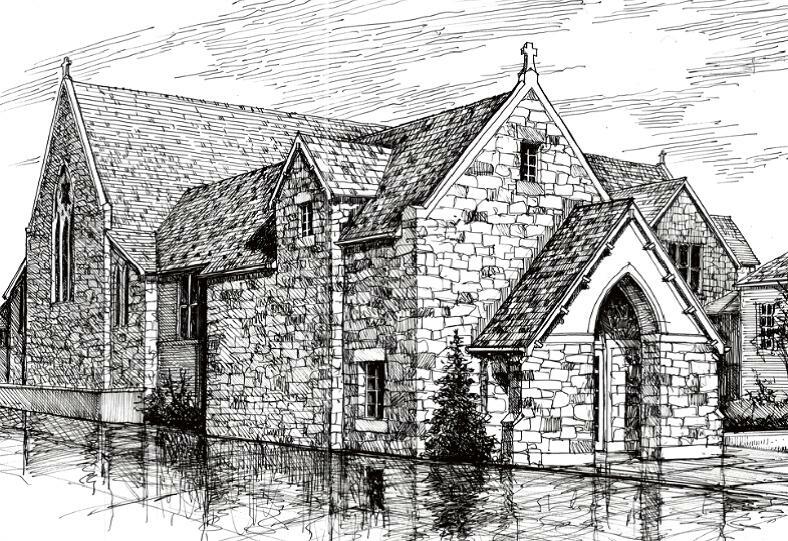 In October 1914, the growing congregation consecrated a new permanent home designed in a Tudor gothic revival style with local fieldstone by Frederick A. Kendall, the senior warden at the time. Kendall had worked from 1901-1909 in a partnership with James G. Hill, one of the most famous architects of the day. Together, Hill and Kendall designed several notable buildings in the city, the Ontario Apartments being one. 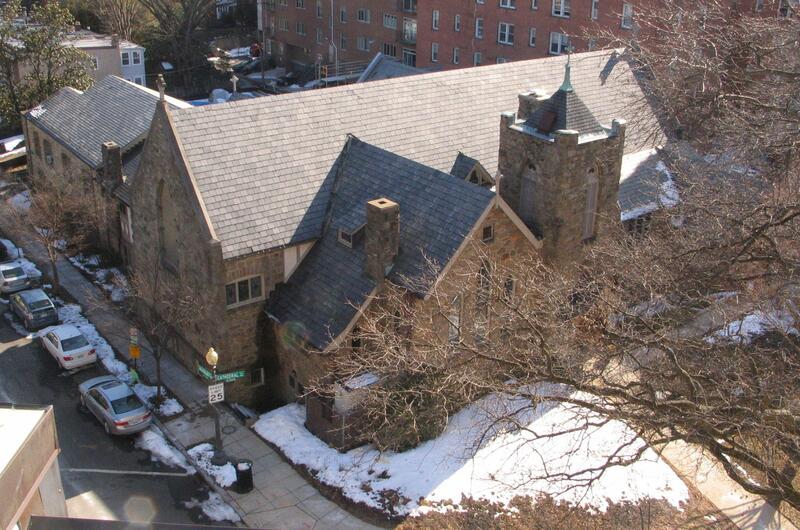 By 1922, the Vestry had begun raising funds for a larger structure to meet the needs of the expanding congregation. They hired Delos H. Smith to design a larger sanctuary in the same gothic revival style with the same fieldstone. Consecrated in 1924, the new nave ran on an east-west axis and the old nave became the transept. Smith was a locally prominent architect and architectural historian (his papers are at Colonial Williamsburg) whose practice included many churches, among them the rebuilt St. Paul's Episcopal Church Rock Creek in 1922 after it had burned, an addition to All Saints Chevy Chase in 1926, Christ Lutheran Church in 1934 and in 1952 the New York Avenue Presbyterian Church. 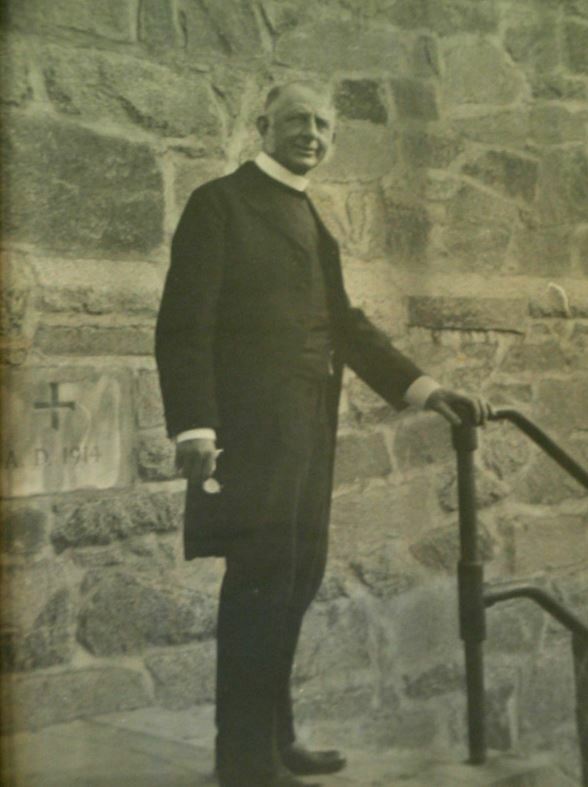 In addition to his ecclesiastical work, Smith's projects also included local and federal civic commissions such as the 1931 Rockville County Courthouse, and interestingly, the Prayer Room in the United States Capitol. 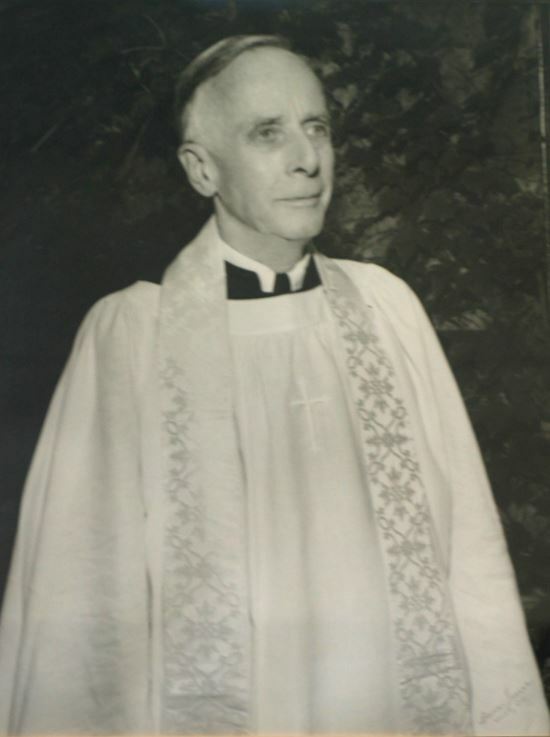 In 1951, All Souls added its administration wing along Woodley Place, laying the cornerstone in a ceremony with Thomas Clark, a Justice of the Supreme Court. Architect Arthur P. Starr designed this building. Starr had been a draftsman in the offices of Jules H. de Sibour, designer of many of Washington's embassies and office buildings, before he eventually went into private practice with his principal work being a medical office building (since razed) at 1726 I Street along with several local commercial and industrial facilities. And in 2015, the church completed its accessibility addition with an elevator, two handicapped restrooms, and a sunken garden opening from the undercroft. The site plan, floor plan, and construction supervision and drawings were by MTFA Architecture, but the external design of the building was, again, by a vestryman of All Souls, Frederick Taylor, an architect in private practice in Washington. Taylor ensured that the addition's stylistic elements, gothic revival theme, and meditation garden were all in keeping with the original church design.